The choice of sending robots into space to replace the human and to remove all constraints that are related to nature, particularly the supply of oxygen and nutrition, and safety, seems the obvious solution. And NASA knows it. 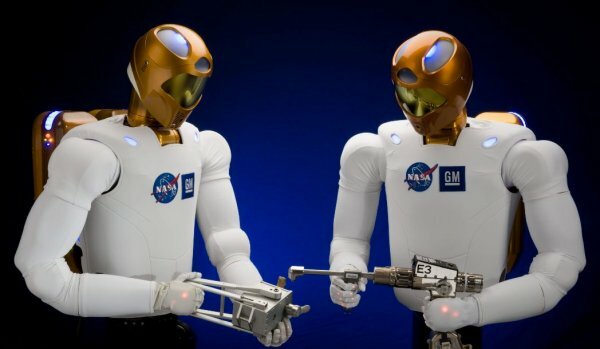 It is working with General Motors to develop robots sufficiently intelligent and dextral to fill the role of cosmonauts. They are called robonautes. Robonaute is an android to work better with humans. NASA plans to undertake the most hazardous missions in space. While GM car manufacturer, will use it to test vehicles and especially to participate in their construction in the assembly plants. The new generation R2, made with the added help of an oceanographic institute, the Oceaneering Space Systems of Houston, is much more advanced than its predecessor in handling tools and can work among humans safely. It is stronger and handles the same tools as the human workers. The Ford Motor Company uses on its side a tactile robot, RUTH, which tests the cars in a purely scientific manner, without the vagaries of subjectivity from engineers. Doug Cooke, a director of NASA sees this project as much more than a tool for space, but believes that more generally, it should contribute to the functioning of the entire nation with a multitude of applications. The U.S. seems determined to catch up the reated they took against Japan in the field of humanoid robotics. Video of robonaute 2. Which is on a mission into space with a group of astronauts. Why spending huge amounts to send men to experiment in space or on planets then we could send robots and control them from the earth? NASA will decided to not send more men into space. Some think is is a a mistake, but if they are replaced by robots at lower cost? 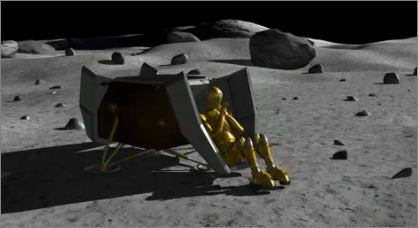 NASA has made the finding and launching the project M (Moon) to send humanoid robots on the moon. During the Apollo 15 travel astronauts collected samples of lunar rocks to bring them back to earth. They had previously been trained to recognize the most interesting materials. However, they were not geologists and their knowledge was necessarily incomplete. The M allows a geologist experienced in controlling a robot from the ground, to choose himself the right materials, and scientists from all branches to carry out experiments. The remote control is a problem of reaction time. This period is limited to the moon: about three seconds. 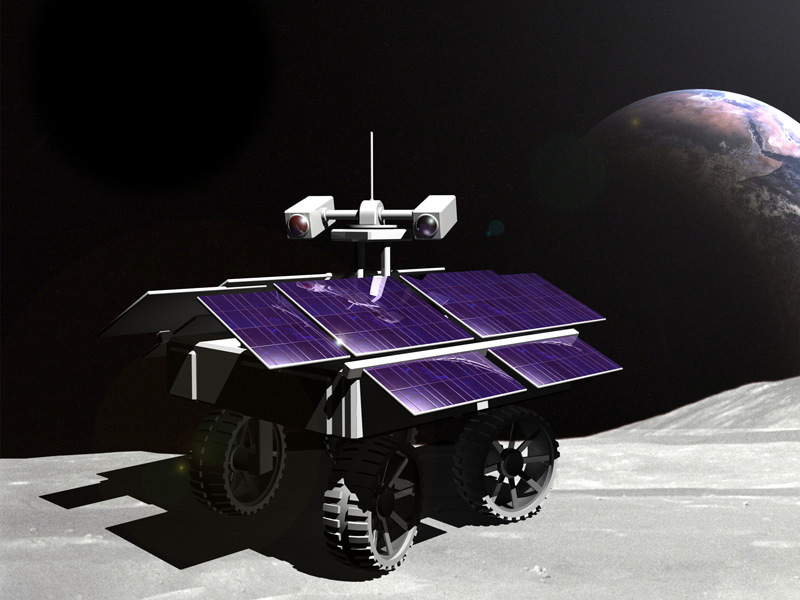 For more distant planets like Mars or Venus, it would be too long and the robots should have a wide autonomy. 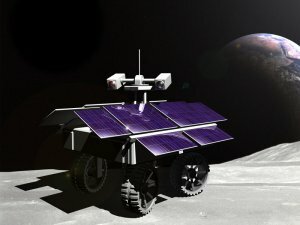 The first robots should be on the moon in less than a year! They have become for the United States the only way to explore the stars after they have recently given up any human excursion program on other planets. 19 groups have applied in June 2009. Among the candidates, the Frednet group decided to propose to the public to contribute to the project, and have therefore put its code in open source, so everyone can have access to programs used. See for example the evolution of their lunar car. This group has a forum, a wiki, a blog to inform on the progress of the project. Note that the X-prize foundation in the past already offered a price of $ 10 million from Paul Allen (co-founder of Microsoft) and Burt Rutan for sending a spaceship twice at 100 km in space. This was the Ansari X Prize and the ship is named SpaceShipOne, it is the successor SpaceShipTwo.